Calendula works to reduce inflammation and promote healing. It's antibacterial, antimicrobial, antiseptic and antibiotic properties may be beneficial for cuts, scrapes, burns, insect bites, rashes and other minor skin ailments. 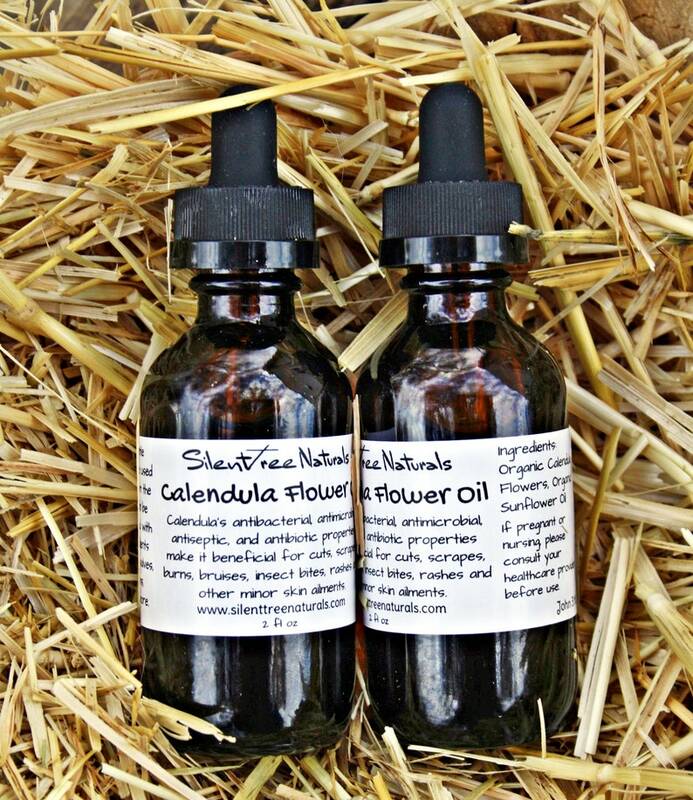 Our organic Calendula flowers are solar-infused in pure organic Sunflower Oil for a minimum of six weeks. This oil is gentle enough to be used straight from the bottle or can be incorporated with other ingredients to prepare products, such as salves, balms, creams, lotions, ointments, and more. Wonderful product! Good for bruised and sore skin, inflammation, etc. Love using it! Would highly recommend seller! Love it! Great to addition to my skin care potions.